A warm welcome to the Healing Zone may this step be one of discovery. This site is devoted to self-development; self-healing of the mind, body and spirit to gently help each individual to awaken to their full potential and that is a truly unique and magical journey. 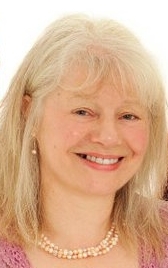 Linda is a Reiki Master, Angelic Reiki Master and Crystal Healer with a deep commitment to helping each person find the peace within. We are currently living in a time of great change and many are searching for a way to discover spirituality, blend it into their life bringing the mind, body and spirit into balance, creating peace and harmony. A way to nurture what is inside and to understand what is without. To learn how to access the sensitivity that is lying dormant, to activate the self- healing power that we all possess. There are many forms of healing; healing can begin with someone just taking the time to listen, really listen, the spoken or written word, a smile, gentle touch, something that makes a connection within you. The universal energy surrounds all living matter, it is the life force, the spark, the joy, the difference of being alive and not being alive. That connection = thrive. Reiki or Angelic Reiki are very gentle and powerful, the energies have far reaching effects, that, not only you will notice. Once Reiki has touched your life you begin to change, be it via a relaxing treatment, or learning to self-heal for yourself, family or friends. The Angels enter your life as a gently knowing, feel nurtured, cocoon in their love. This unconditional love guides you to inner experiences and bringing new awareness into your life and world. I teach Reiki and Angelic Reiki from level 1 to Master Teacher level and fun workshops. All courses are taught in small groups and one-to-one training is available on request. 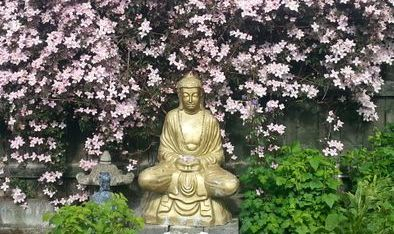 Meditation, workshops, courses and treatments take place at my home. Life is an adventure, are you ready to take that step to find you? There are so many people to thank that have given time, teaching and friendship along my path, my lovely family for times of absence. I dearly love and thank them all. Gratitude to the people people who's photo's I have included on my site from the amazing internet. I am deeply grateful to all my students and clients who have become great friends as we journey onward. A warm welcome awaits to all who find their way to this space. Love and blessings, may peace be with you and your families.